AS College for Women, Khanna was incepted to cater to the overall growth and development of the students. It houses a sprawling campus. It has state of the art facilities and good infrastructure. Emphasis is placed on value-based education. 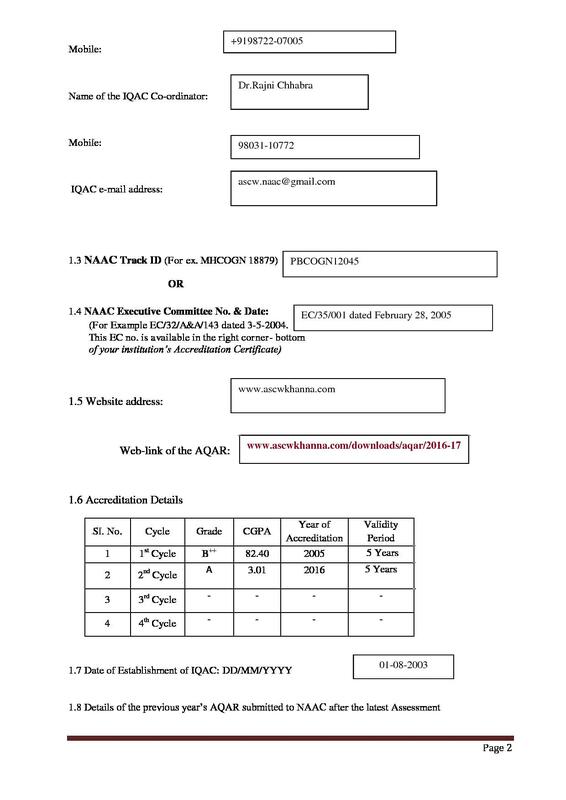 Accreditation- The NAAC team has provided an accreditation of B++ in 2005. Tutorial group- Tutorials groups are formed amongst the students and are guided by a teacher. There are holding meetings every month and discussion is carried on moral and ethical values. Alumni- There is an alumni association which caters to enable a bond between the old and new students. Development Training- The college provides facility to the teachers and Students to keep them aware of the latest developments in the field of Information Technology.